Christoher Schultz has sold the domain WebcomicZ. RSA Animate tackles 21st century enlightenment. MUTTS creator Patrick McDonnell features Sea Shephed in recent comic strip. Comic book autobiography of a teen girl’s life with braces. 10 years ago: The Wally Wood letters. Koko Be Good, a graphic novel about finding meaning in lifecomplex by Jen Wang. Jersey Circus, a parody of the reality TV show Jersey Shore and the cartoon The Family Circus. Wookie The Chew, Winnie the Pooh retold with Star Wars characters. Cartoonist Pete Emslie posing with Julie Newmar. Cory Doctorow’s latest column about ownership called Proprietary Interest. What Things Do: excellent webcomics. Giant, fetishistically detailed Little Nemo art. Betty White gets her own comic book. 24 Hour Comic Book Day in San Francisco and Berkeley. Maker Jim Henson in 1969: HOWTO make a puppet. WEBCOMIC SPOTLIGHT: A Mad Tea Party by Jonathon Dalton. 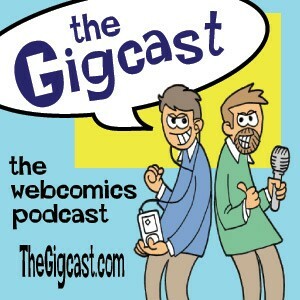 Matthew Inman, creator of The Oatmeal, talks about how to get people to read your site. A collection of interviews and articles on the life and work of Robert Crumb. Criterion Collection reissues R. Crumb documentary with special features. Castration comics from Mary Roach and Ariyana Suvarnasuddhi. Ouch! Scott Pilgrim and Shonen Manga. Mal and Chad’s fill in the bubble frenzy 2. Brody’s Ghost: Mark Crilley’s 6-part graphic novel. A tour of Dark Horse Comics. Gabrielle Bell’s comic strip about ComicCon. August 28th is International Read Comics in Public Day. Critique of a badly-drawn Bible story coloring book. An interview with Lev Yilmaz, creator of Tales of Mere Existence. Gods Playing Poker is offering Fox News Bingo cards as a free download. The Onion AV Club interviews cartoonist Jim Woodring. The comics Bill Waterson sent to Berkeley Breathed posted on BoingBoing.net. Scott Pilgrimage: Documenting real-life locations from Scott Pilgrim comics. Apple Censorship hits comics and more. Miyazaki keeps his title of ‘Anti-globalization curmudgeon‘ and good for him. US Army ‘Don’t Ask, Don’t Tell’ instructional comic on gays in military. Make your own Android App with Android App Inventor. Nikki Cook will be the guest artist this month at Gizmodo. Keith over at Karmic Debt Comics talks about collectives, the Webcomic Planet collective and.. well karma. Northern News Services has an article about Webcomics. iDrawDigital has a post about webcomics review sights. Mtv has it that Harvey Pekar has passed on to less ordinary places. Sad to see you go Harvey. The Hindustan Times talks about comics on your phone. Storming the Tower has 13 webcomic supervillains in the spotlight. Scott Kurtz leaves Image and returns to self-publishing. Quitting Time Vol. 1: I love the smell of corporate evil in the morning! is for sale with introduction by our own Scott Gallatin. Hetalia fans flood Anime Expo in Los Angeles. Sita Sings the Blues: A benefit screening for the EFF and the SF Cartoon Art Museum on Tuesday, July 20th. Pressure-sensitive drawing headed to iPad in free software library. Will it become a viable low-cost alternative to the Cintiq? I forget if I’ve linked to this before, but Gene L. Yang takes apart the casting for Last Airbender movie. The Beat has a look at DC’s shutdown of ZUDA. The Webcomic Overlook has some creator responses to the ZUDA shutdown. DC Perazza answers questions on changes to ZUDA. Douglas Rushkoff on the Pekar Project. Single comic panels that depict both cause and effect. Rick Marshall makes the case for following comic creators via social networks over at Pop Candy. Webcomic Beacon #125 features Erika Moen. MTV’s Splash Page highlights Octopus Pie and other webcomics in print. Fabric Dragon has a wonderful post about how you can help out the Foglios and other webcomic creators. The Webcomic Overlook #125: Bottle of Awesome. Webcomics.com has part 1 of 4 of a Q&A with Scott Kurtz. DC comics launches an iPad app. The Scene posts their picks for the top 10 webcomics. ComixTalk has a post about the Webcomics Auction for the Gulf Coast organized by Carly Monardo. Kev and Scott Talk NightGigs! WordPress 3.0 is out! Hurry and jump on the bandwagon today! The Chuck Jones Center for Creativity is now open in Orange, California. Darn I wish it was closer. Make it harder to track your browsing with HTTPS Everywhere for Firefox. While your at it get you some TOR. Comics Alliance is reporting that the Gulf Coast is getting aid from sales of Venture Bros. and webcomic auctions. Storming the Tower reports that the Webcomics App is coming back. The Webcomic Overlook #124 reviews MS Paint Adventures. Platinum Studios reports that Cowboys & Aliens have begun filming in Mexico. Battlemouth interviews Bad Machinery creator John Allison. Apple tries to censor more content for the iPad and iPhone, sometimes successful and other times not. Apple also gets punk’d at WWDC. Quitting Time goes to three times per week starting this week. Kelly Thompson lists some webomics that she loves. Word Balloon University makes its debut. Matt Unedited gives us An Ode To Webcomics. Absolute Write has a post and discussion about how to make money off of webcomics. How to make a printer that will work directly on tshirts. Be a maker! Robot 6 has an interview with Molly Crabapple. STL Webcomics interviews BlueStar Blues creator Joshua Jericho. The Webcomic Beacon #122 is about photocomics. Digital Spy interviews Esther Bircham of Alien Ink. Xaviar Xerexes clues us into who the 2010 nominees for the Manning Award for Comic Newcomers are. Xaviar also interviews Bellen! creator Brian Brown. The BEAT covers Marvel’s latest experiment in combining digital and print publishing and some great news about PBF. John K., of Ren and Stimpy fame, has started offering cartooning classes. Robot 6 spotlights Filthy Figments, new adult website by creators Gina Biggs, Jennie Breeden and a host of others. Hark! A Vagrant creator Kate Beaton will have some cartoons published in upcoming issues of The New Yorker. Congratulations Kate! RGB Filter has an interview with Ryan North. TGT Webcomics interviews Dawn Griffin from Zorphbert & Fred at C2E2. Playback:stl has an interview with creator Raina Telgemeier. Whazamo! State of the Art tackles the subject of webcomics. Cyanide and Happiness launches their iPhone app.